Mud-o-fish slop out of the water and run accross land and back into the water. Careful, these guys can run fast and take more than one hit to kill. The Spinstar moves like the Nocto, but on land and faster. Octots(hrrmm.. that name sounds familiar, and they look familiar too) just hop around from block to block. Puff fish come out of the water and spit dangerous boubles at you, so be aware! You never know where or when this guy'll pup up! 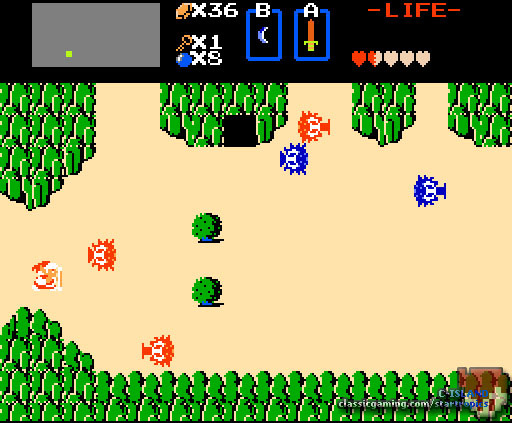 The Octots from StarTropics are cameos of the Octoroks from Zelda.